So as winter is upon many places around the world, as a British Citizen I always question does winter really exist in Dubai? I never felt it! There’s certainly never a white christmas to look forward to, so why not take the kids or a few friends over to Ski Dubai @ Mall Of the Emirates (MOE!) 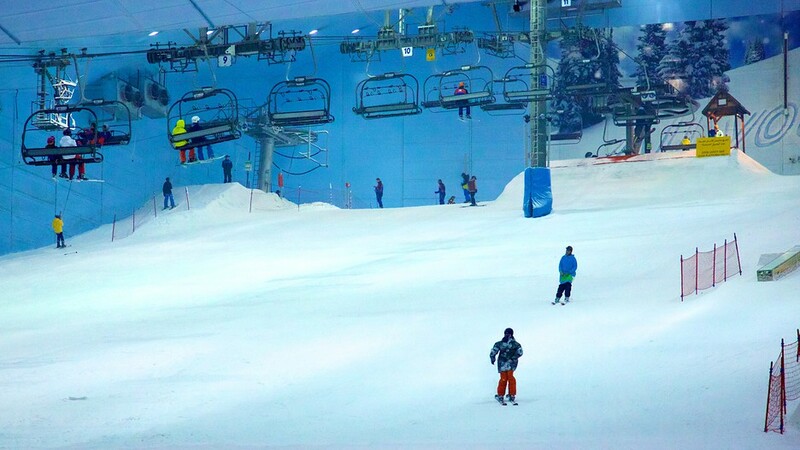 Ski Dubai is a fantastic playground of activities, snow play, rides, and not to forget the largest indoor ski slope! So let’s explore what’s on offer for you! This one’s mostly for the kids, but who doesn’t love a good snow ball fight? Or a ride across the beautiful white snow! Snow play features the famous bullet ride, which is an indoor biplane that slides you across the arctic atmosphere of the arena! You must be above 8ears old to ride, 8-10 must have accompanying adults and 10-14 a legal guardians consent! 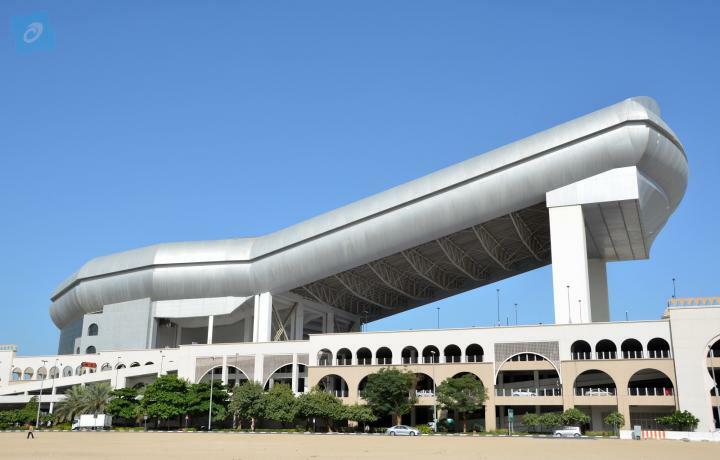 The zip line is 150 meters long and you can race your friends down! Snow ply also features sledging, indoor zorbing and tubing! The Snow play passes can also be upgraded to the “Polar Express”- You can meet the penguins! You get to see them underwater, learn about where they come from and watch them waddle around, and also an up front encounter! A real life experience, you can even squeeze in a little hug if you’re lucky! Prices of tickets do increase when you add the Peng-Encounter, but let me tell you.. that penguin hug is worth every Dhiram. I took my nephew a year ago and the smile on his little face, the excitement to tell everyone is the heart warming! A perfect way to enjoy the winter wonderland! From the tots to the adults, whether you want to learn or you’re a pro, this ones for the thrill seekers! The instructors teach you how to slide, stop and use your gears, and you get a complimentary locker! Snow boarding is great fun, especially in a group of friends! It’s the perfect winter wonderland activity for the older ones, but nodes stopping the tots over 8! KJ & I on our way down from a fantastic session! What would Ski Dubai be without skiing? From tots lessons, to adult lessons, or if you’re a regular or you can ski.. why not jump right in? if it is your first time, I would recommend a lesson! You do get some free time to process what you’ve learnt! You can also mix up the snow park with skiing if you fancy a bit of everything, bu this is only for experienced skiers and snow boarders.. 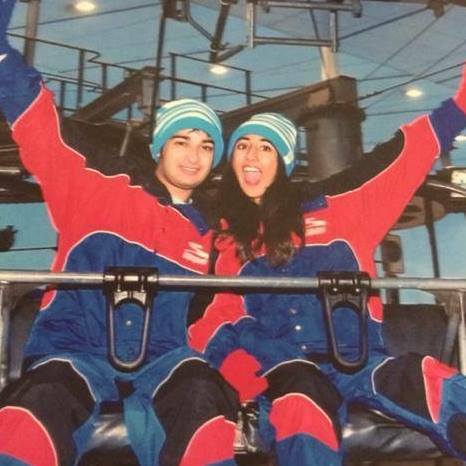 So overall, Ski Dubai is the answer to having a winter in Dubai! I am personally a hater of the term “Winter” and the season, but I used to look back on pictures from home and see their perfect white winter, but ski Dubai really is the answer, you can experience the winter the world has, but when you’re fed up, there’s an escape! Cold haters, I feel you! Ski Dubai is surrounded by all sorts of cafes, restaurants and the food court is just above, so don’t worry, a hot drink from costa, McDonalds or a scrumptious hot meal isn’t far! You can also buy pictures and souvenirs of your trip, theirs photographers all around, capturing and editing your winter moments! My personal favourite i the Penguin encounter, I love penguins! Seeing them, meeting them, HUGGING THEM! It’s the best! 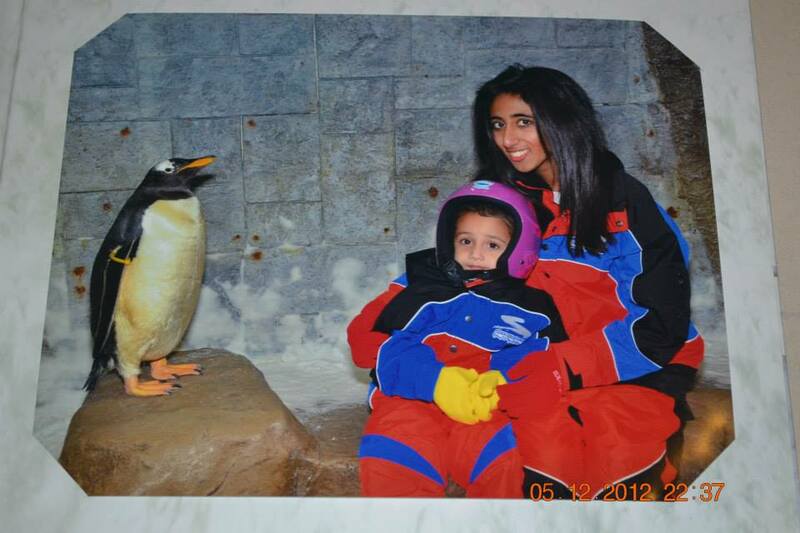 Me and My Nephew met a penguin!